The holidays are a special time of year and you deserve a special look that sets you apart. 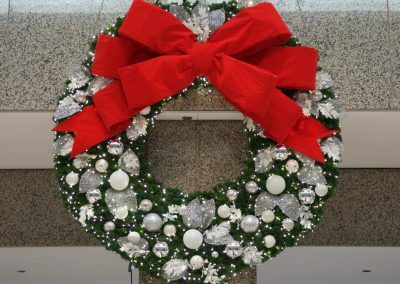 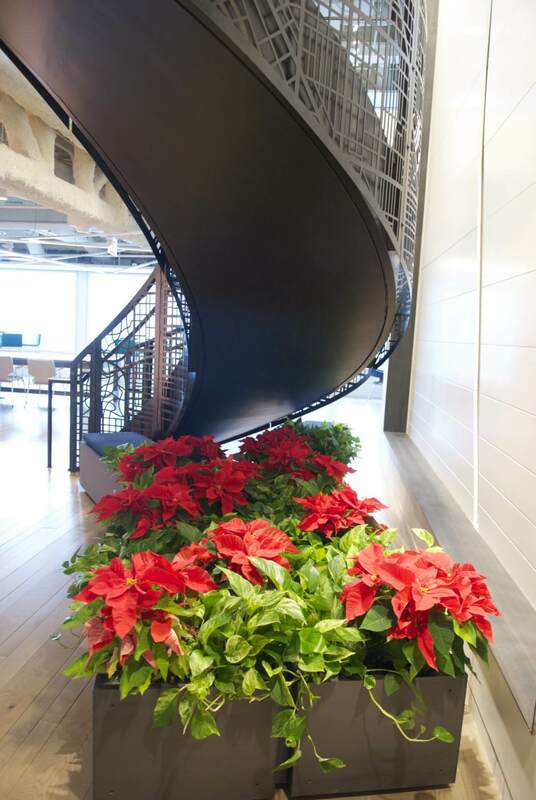 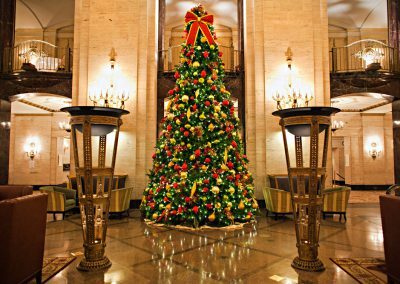 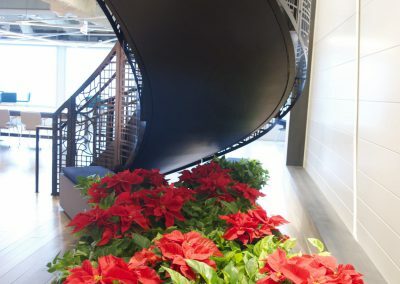 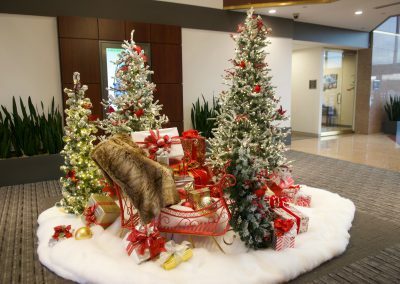 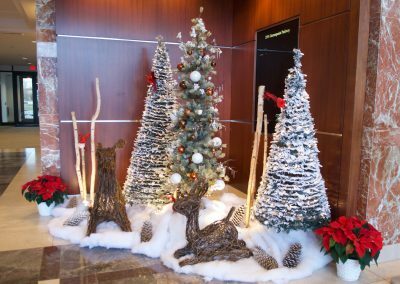 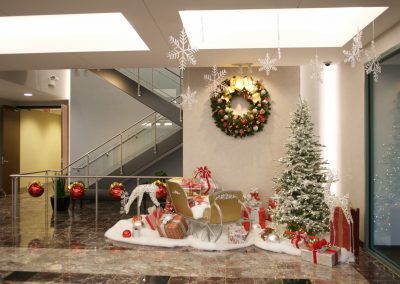 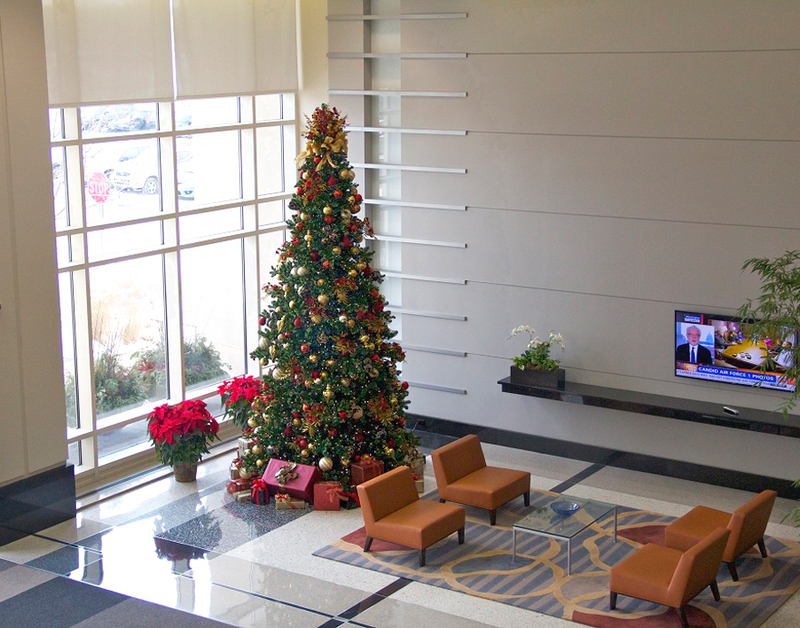 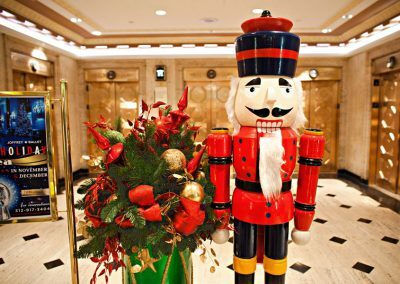 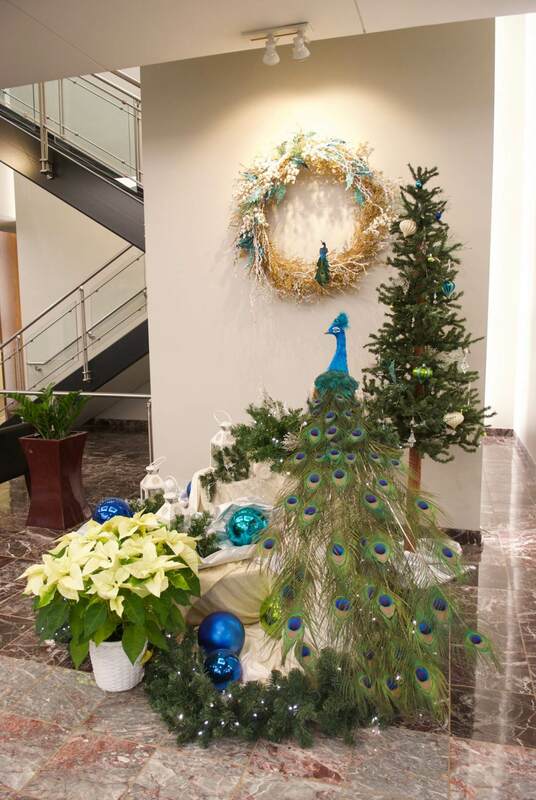 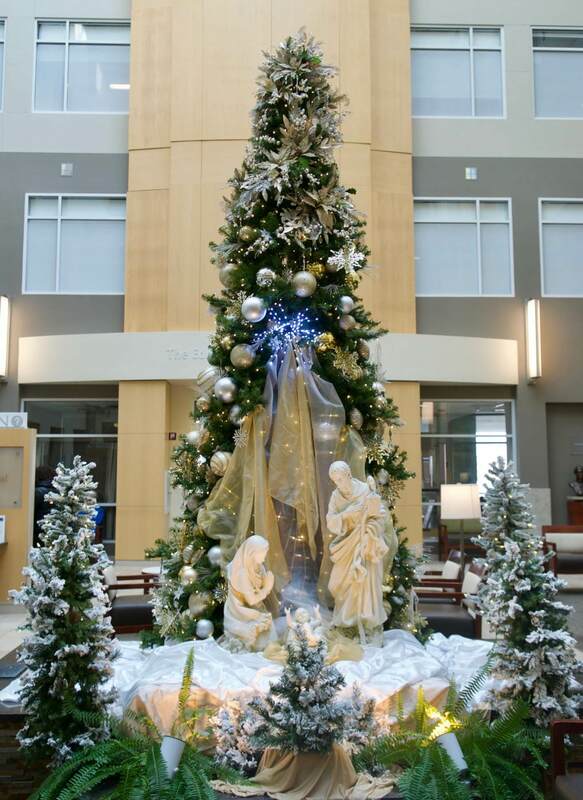 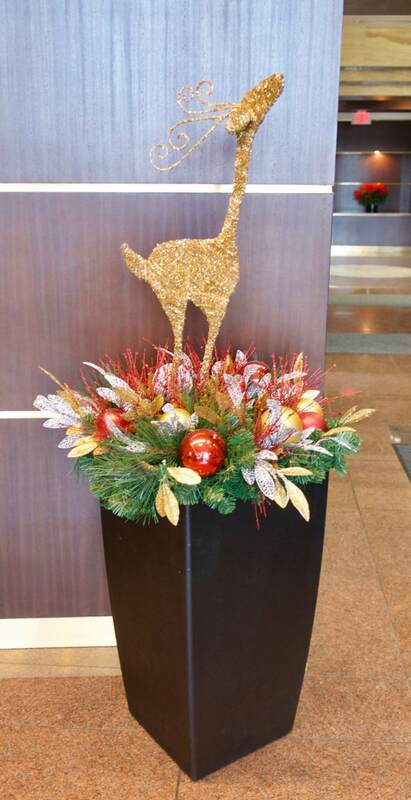 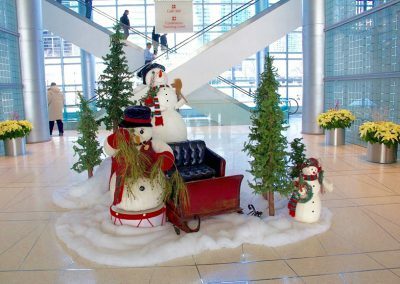 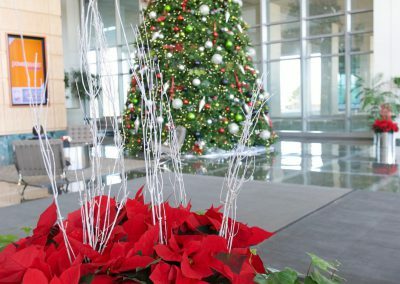 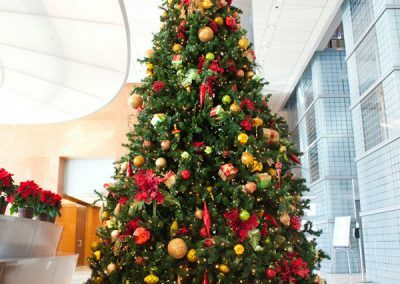 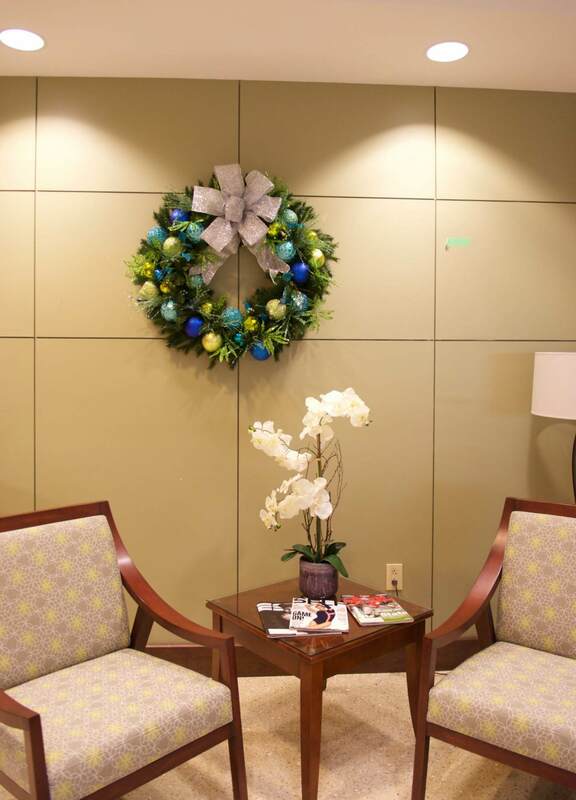 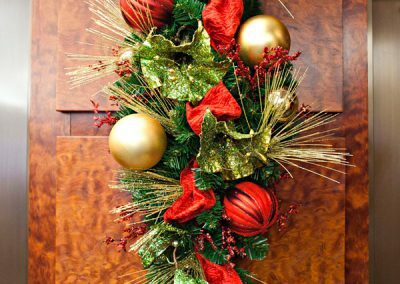 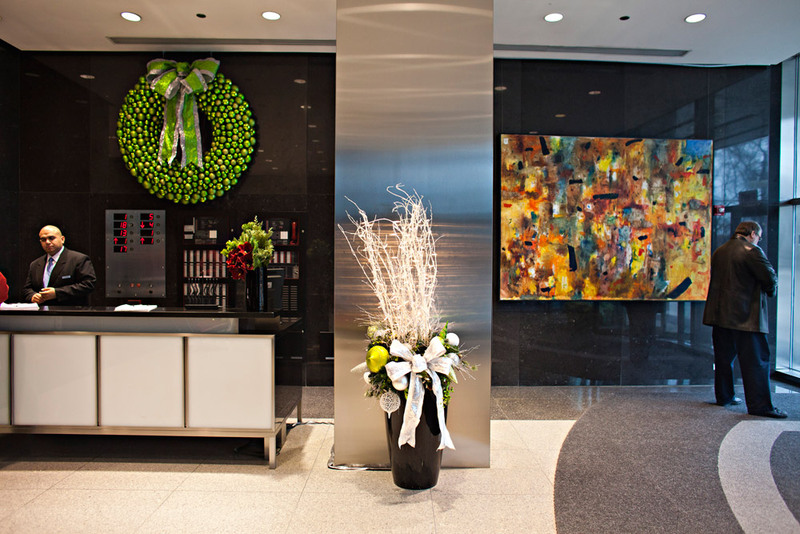 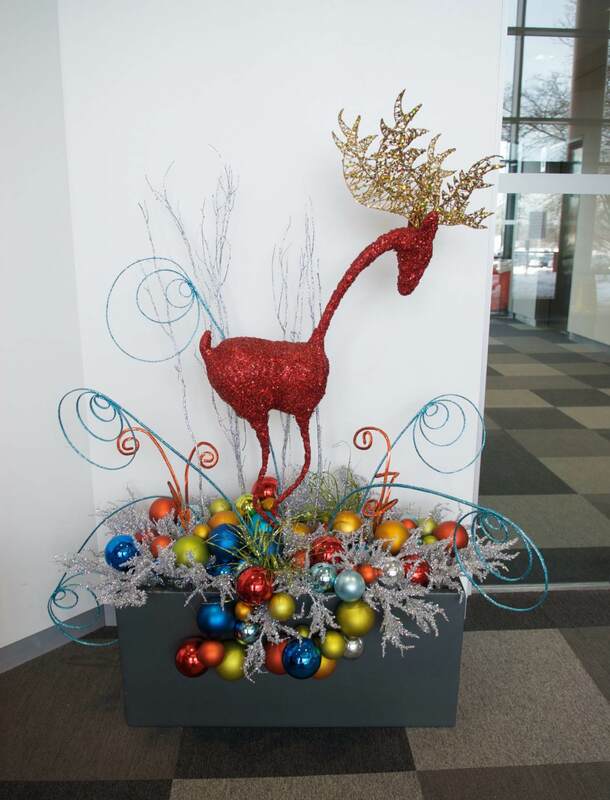 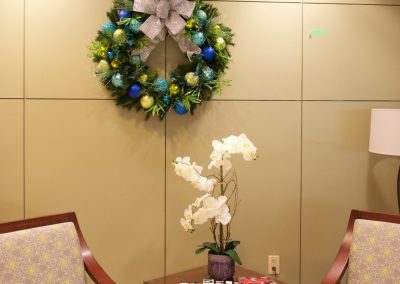 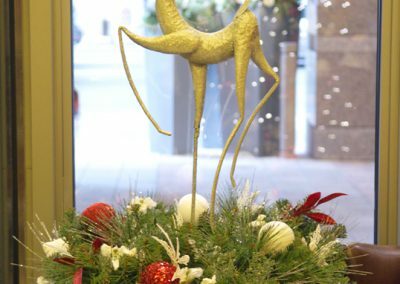 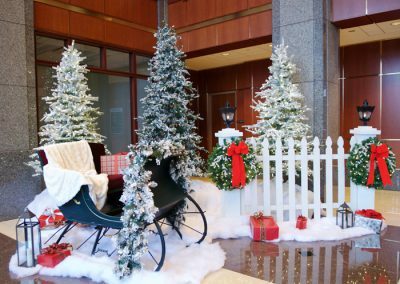 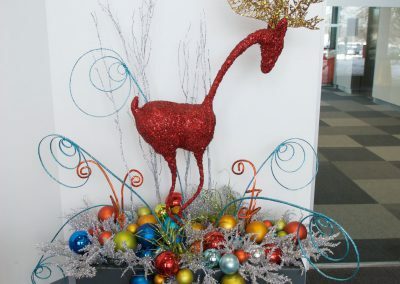 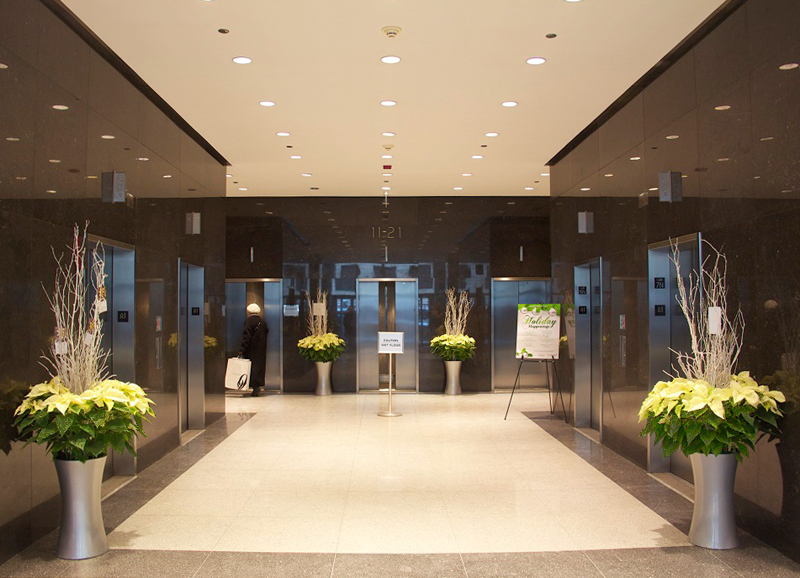 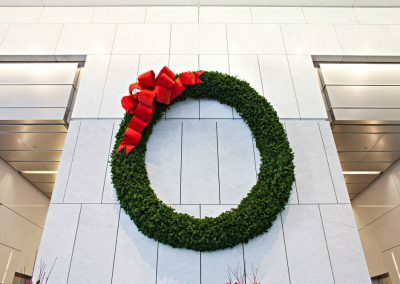 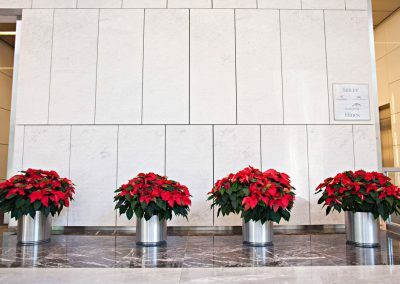 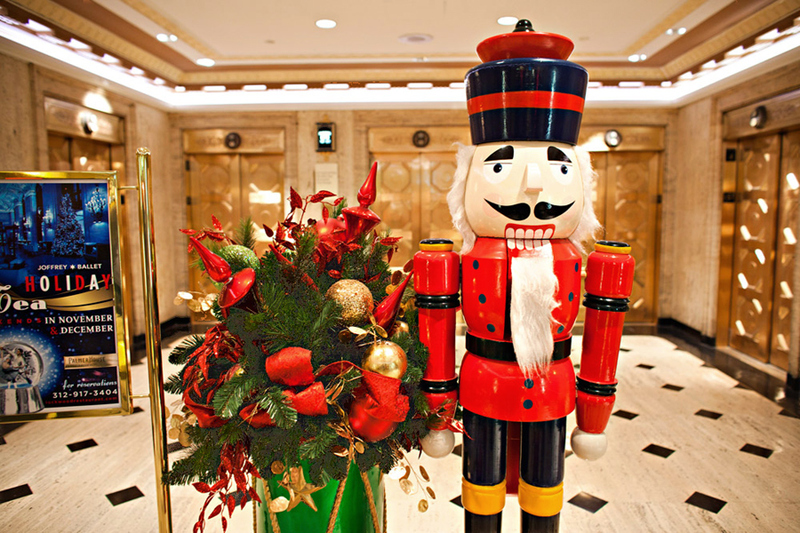 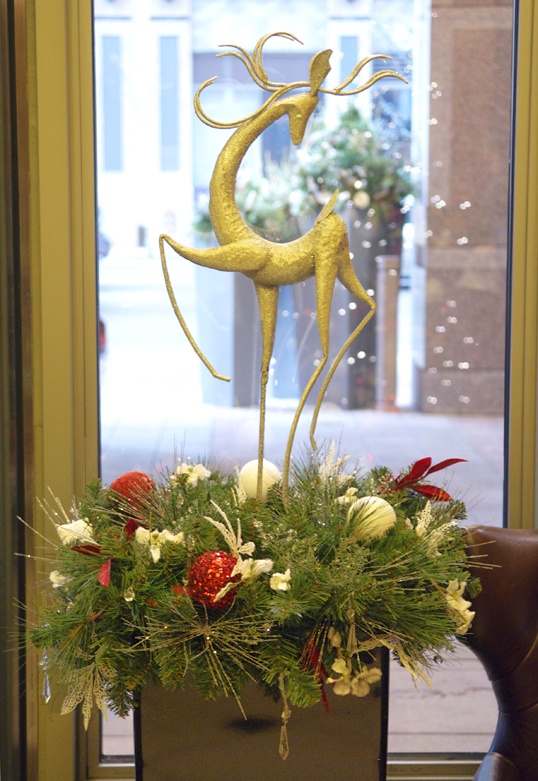 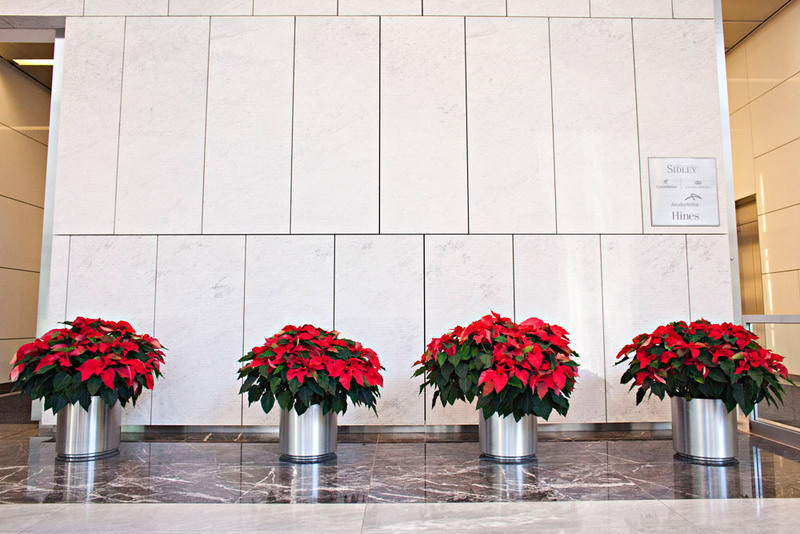 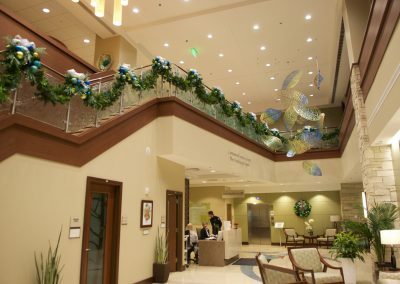 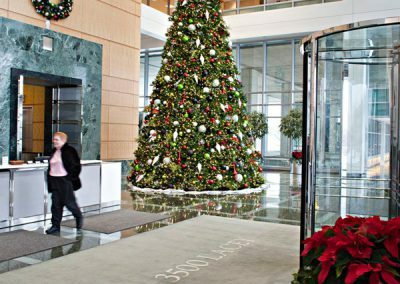 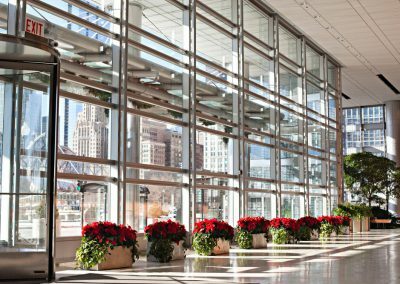 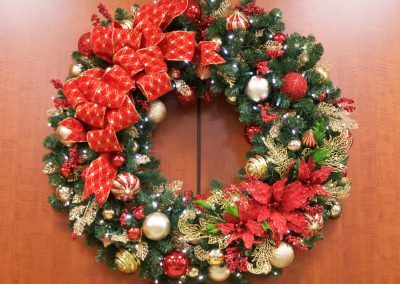 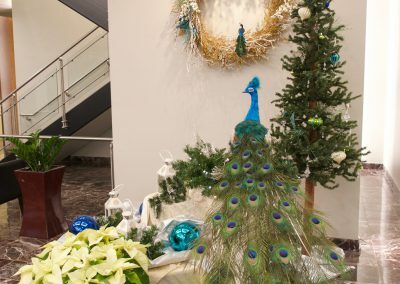 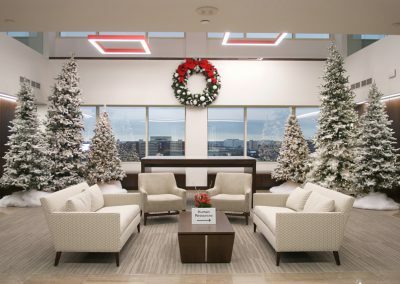 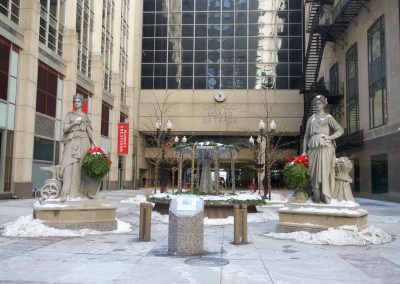 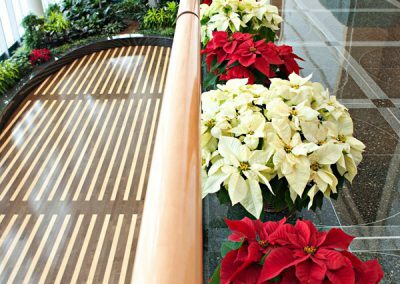 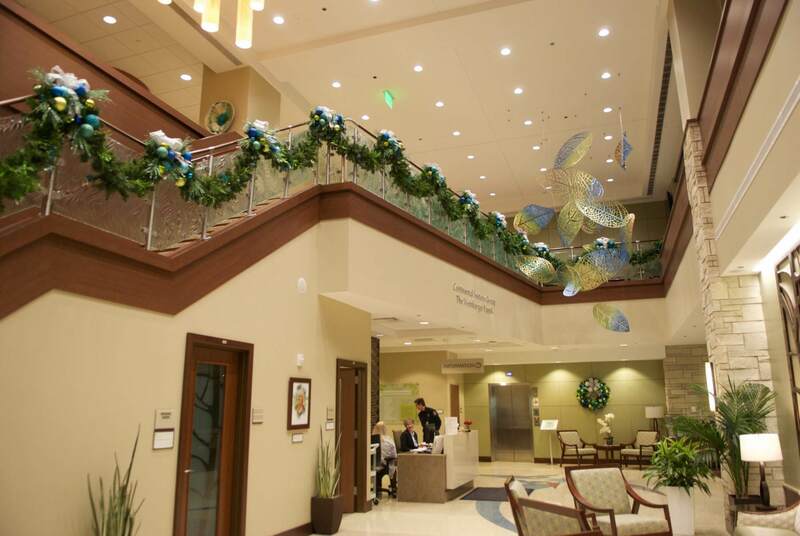 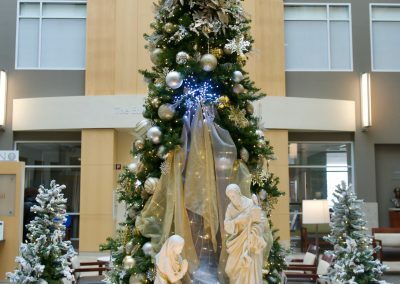 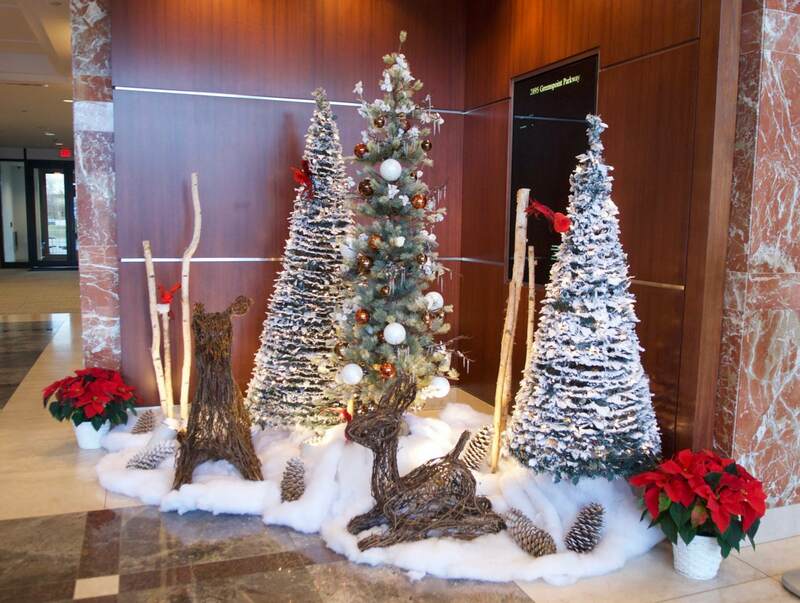 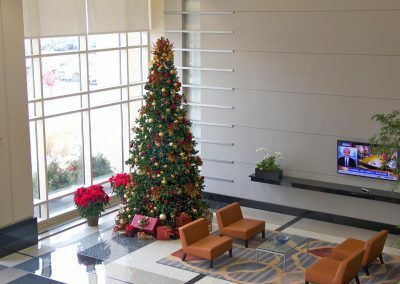 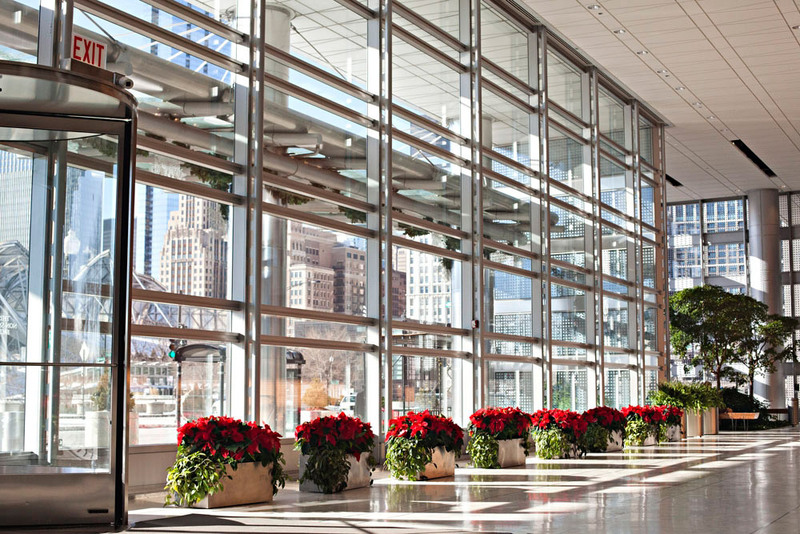 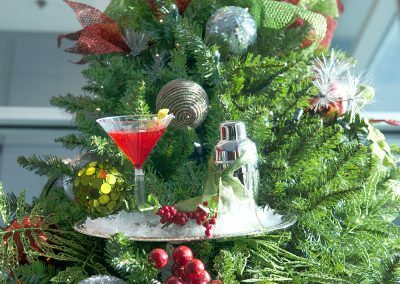 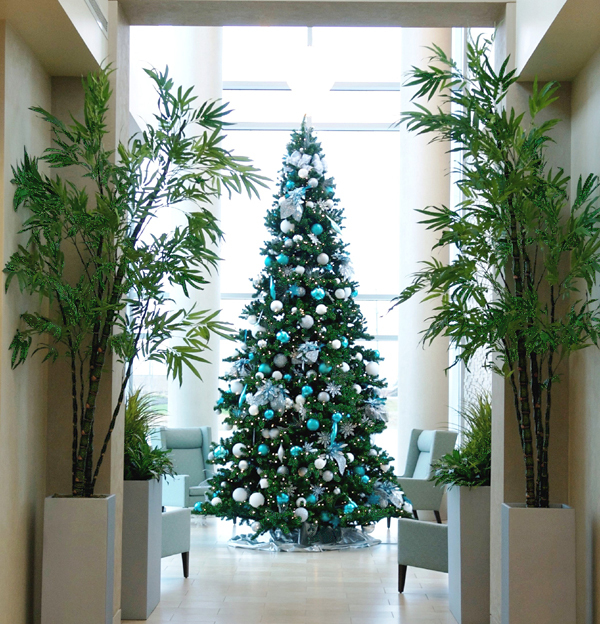 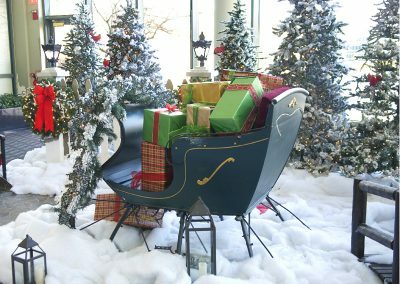 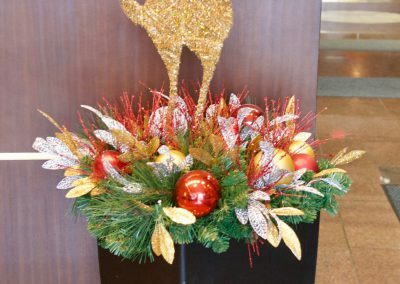 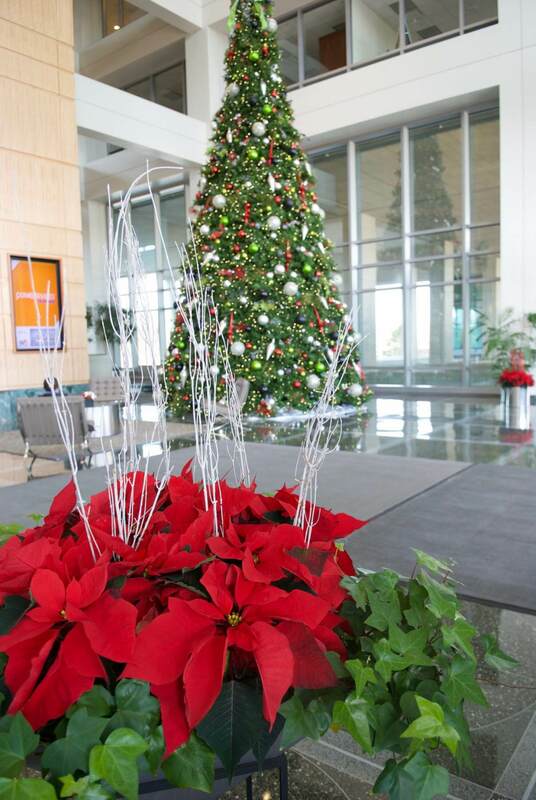 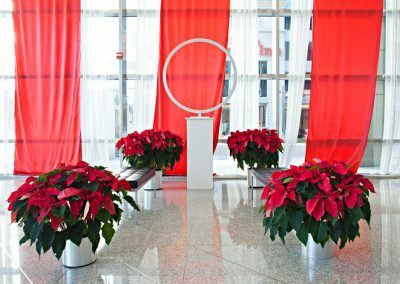 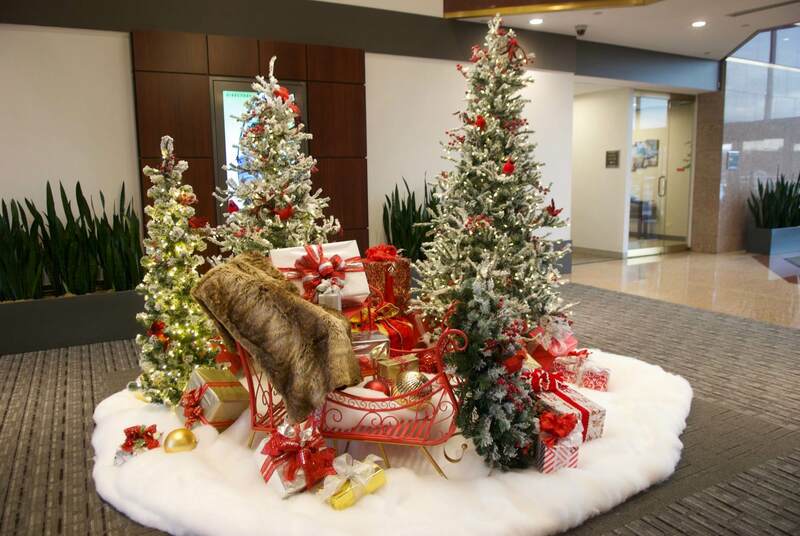 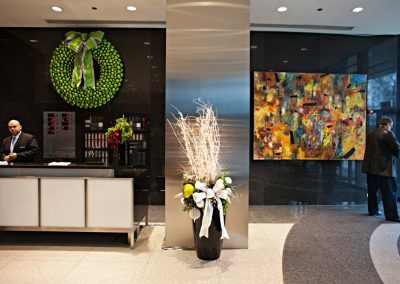 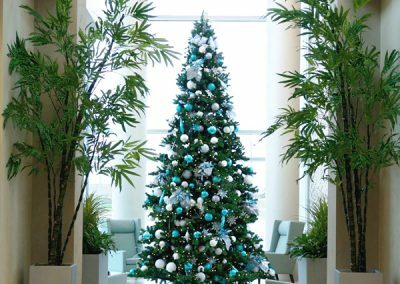 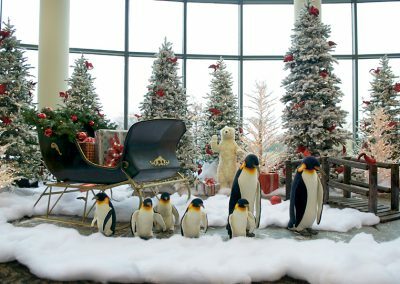 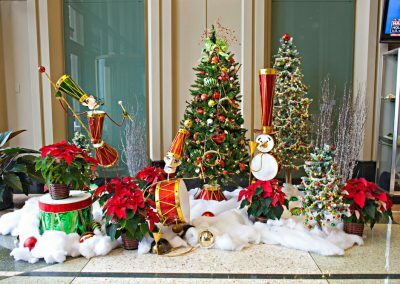 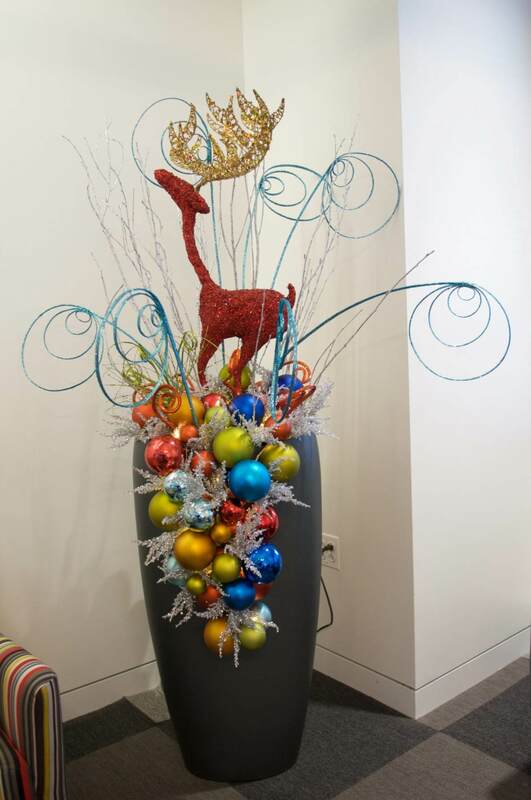 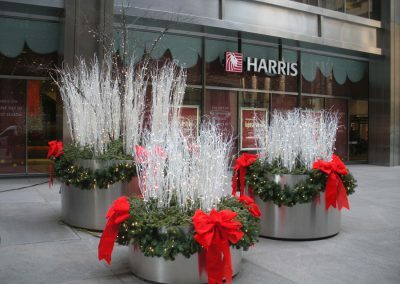 The experienced design consultants at Phillip’s Interior Plants & Displays will present you with custom commercial holiday decorations and seasonal decor for your lobby, reception, and office area to create a distinctive, unforgettable style. 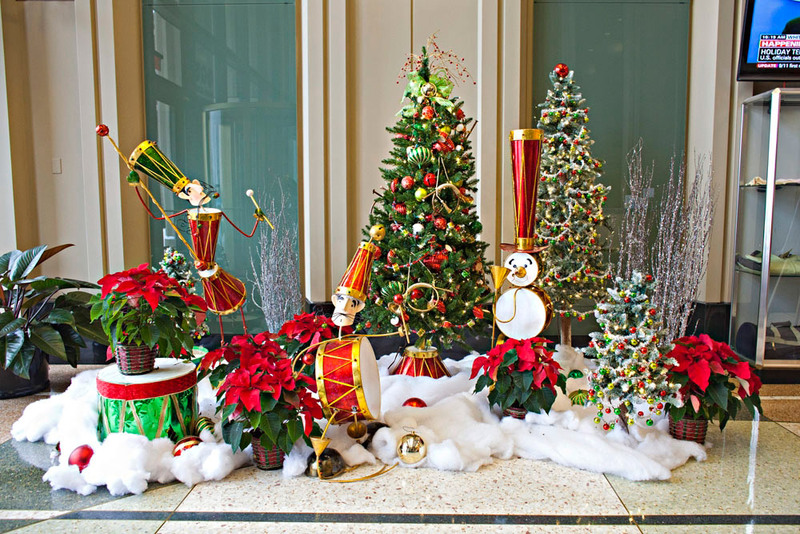 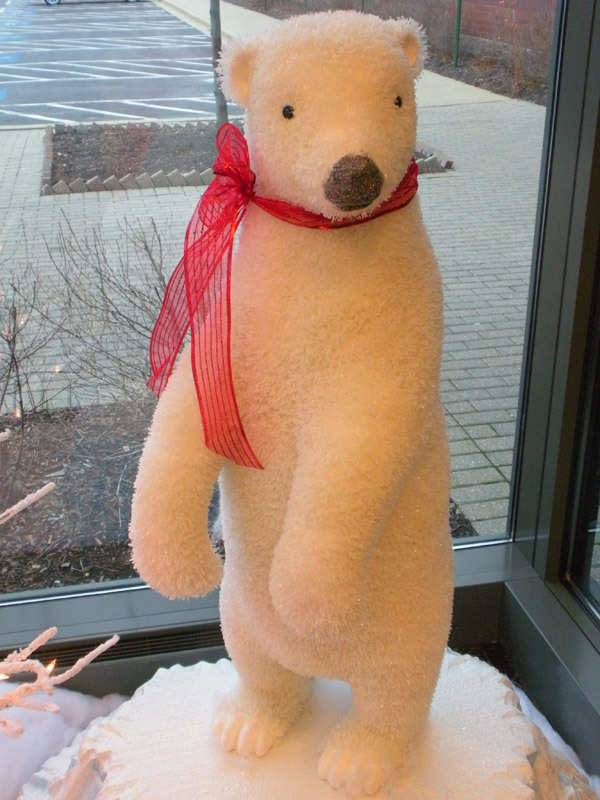 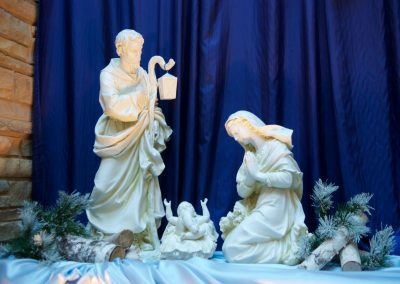 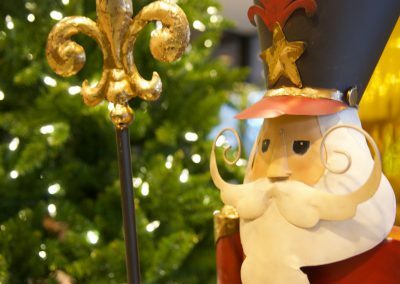 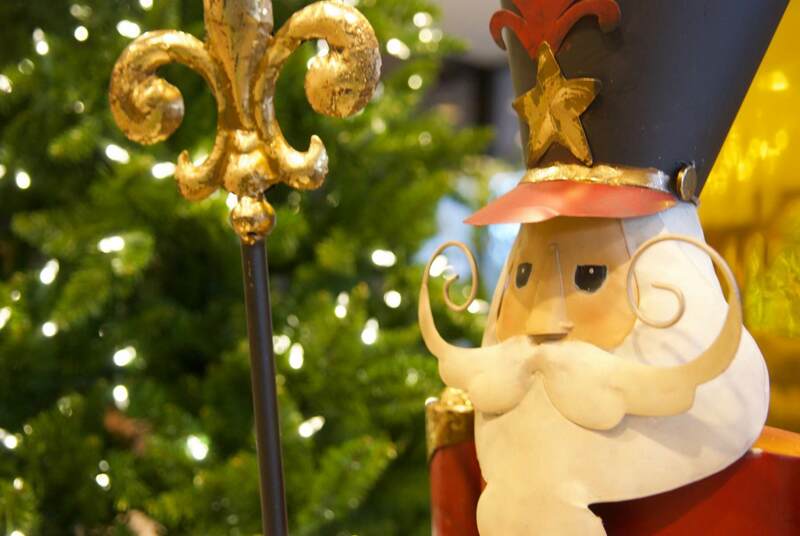 From party decorations to office displays, poinsettias to pre-lit trees and even animated characters, we cover all your holiday decorating needs! 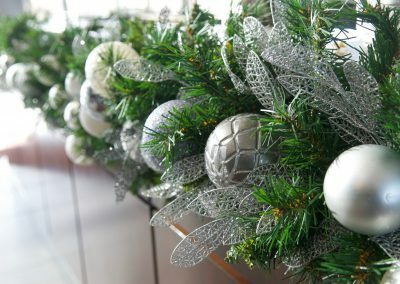 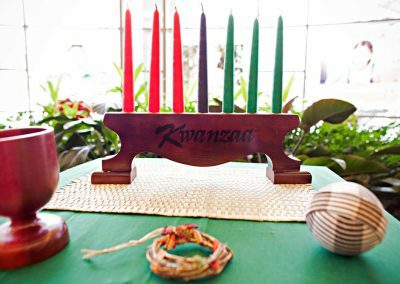 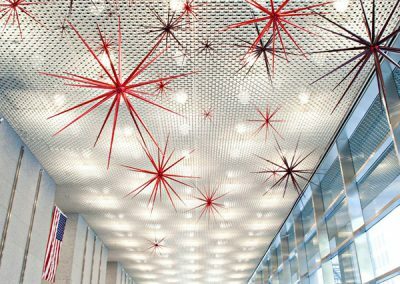 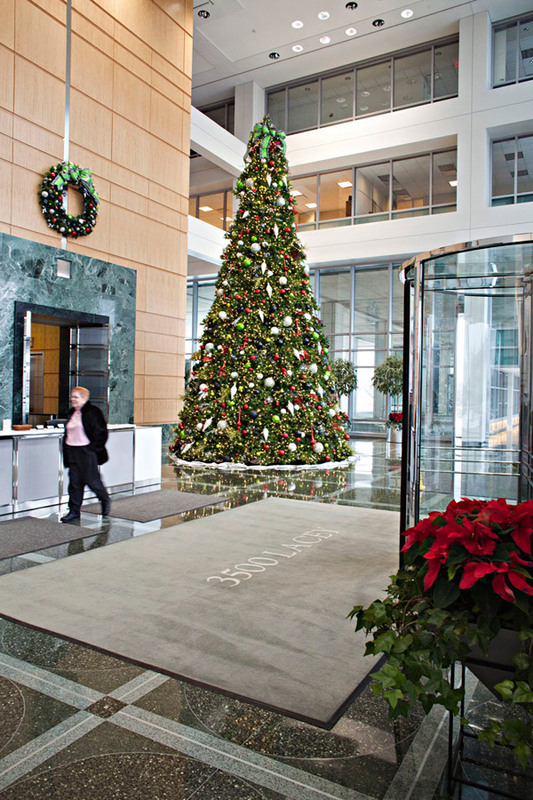 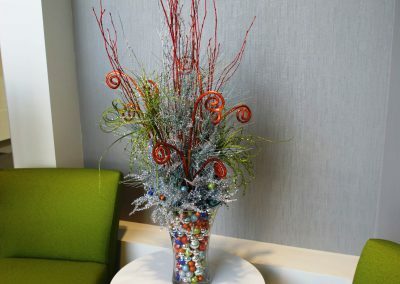 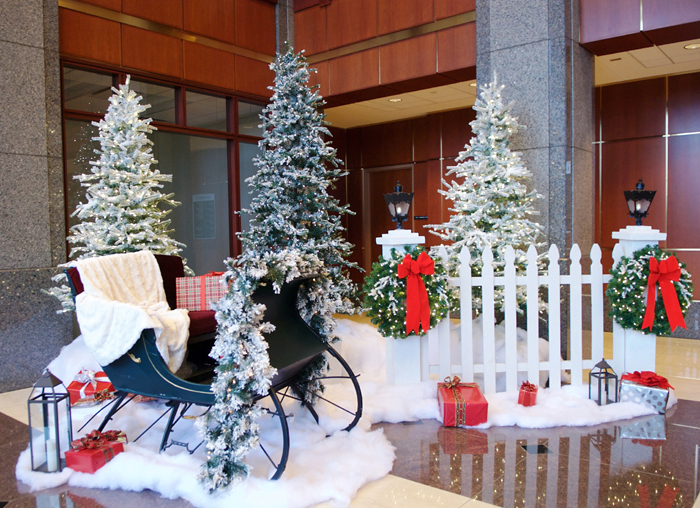 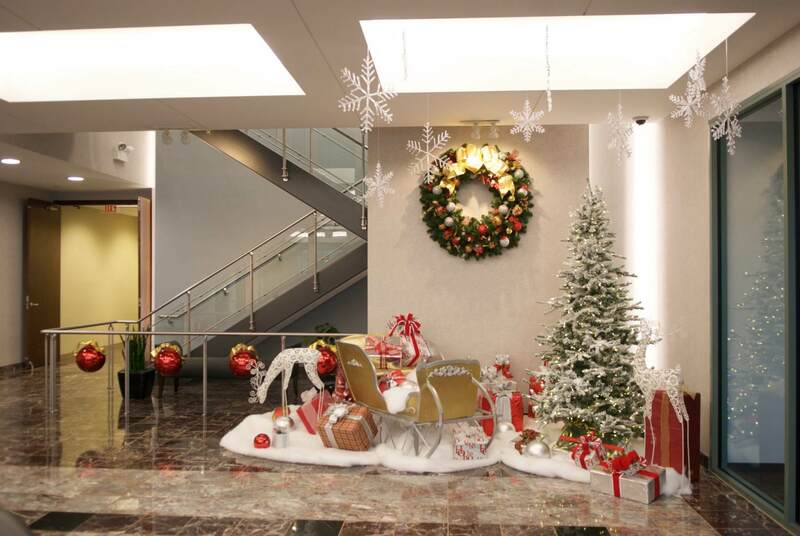 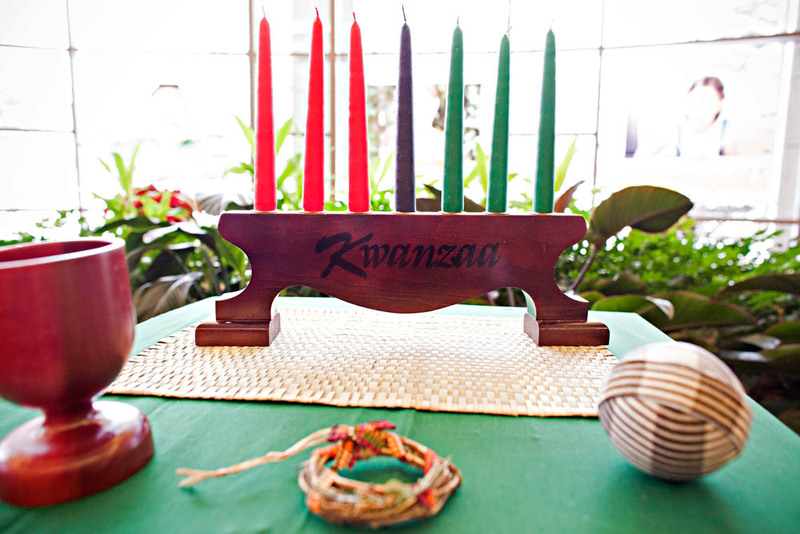 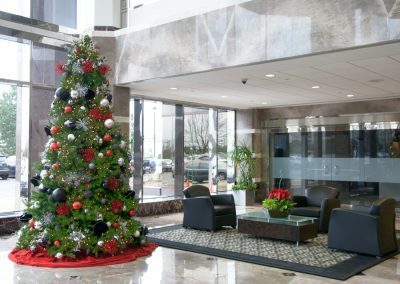 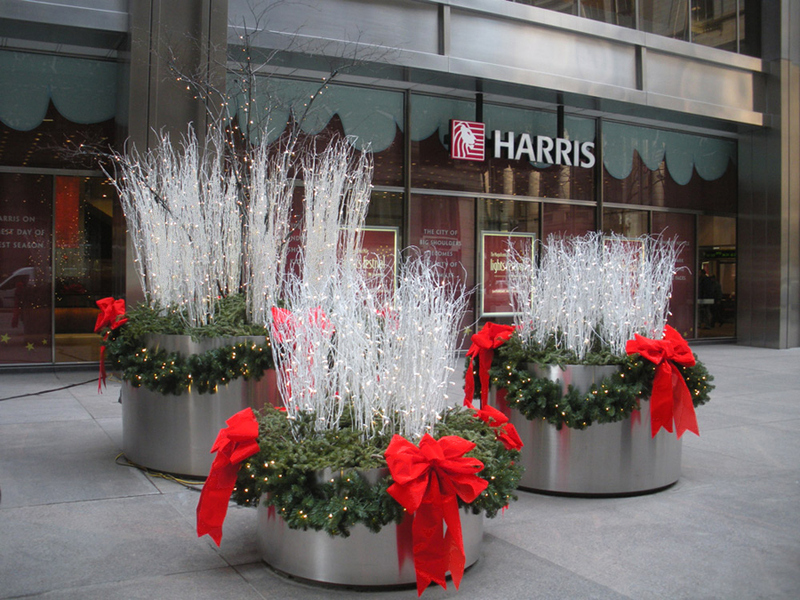 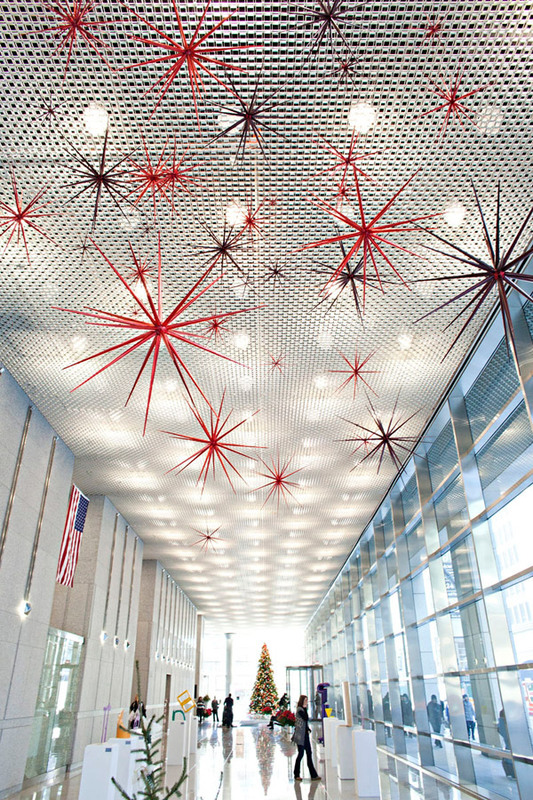 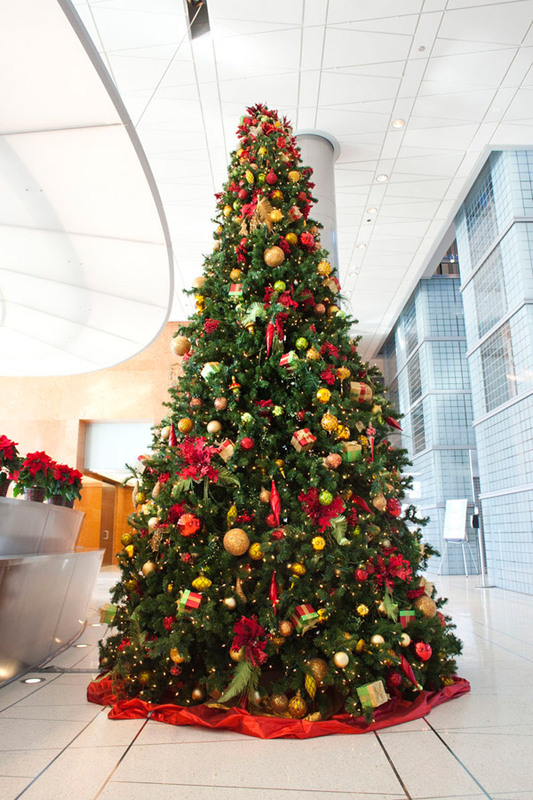 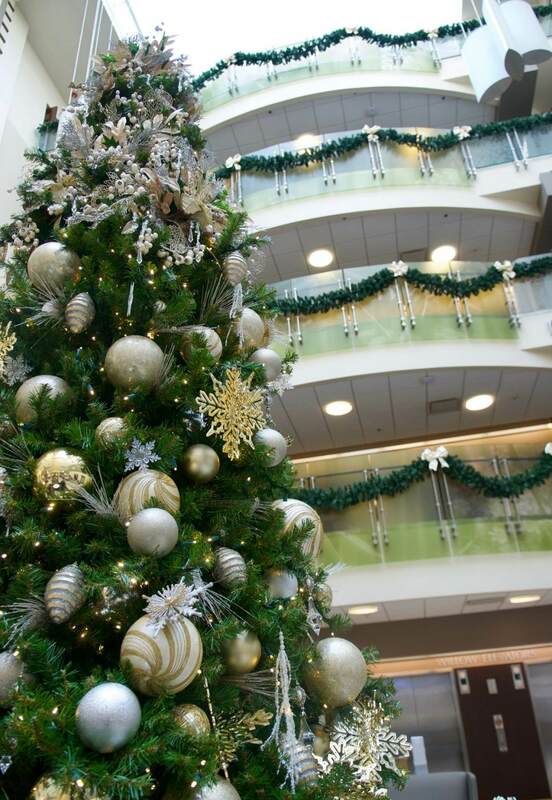 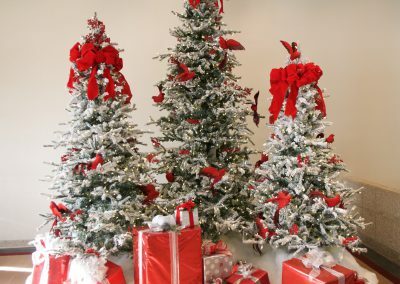 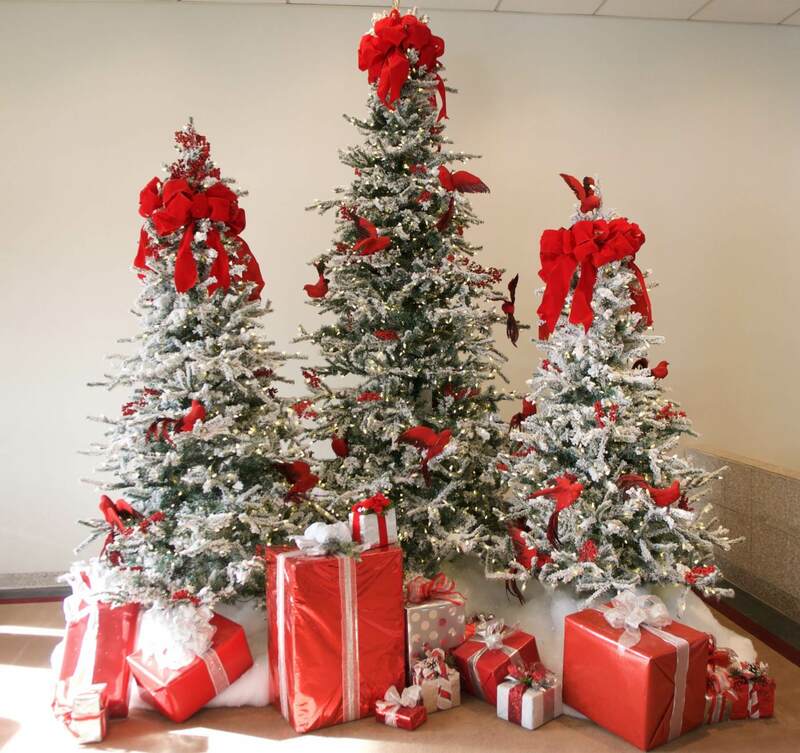 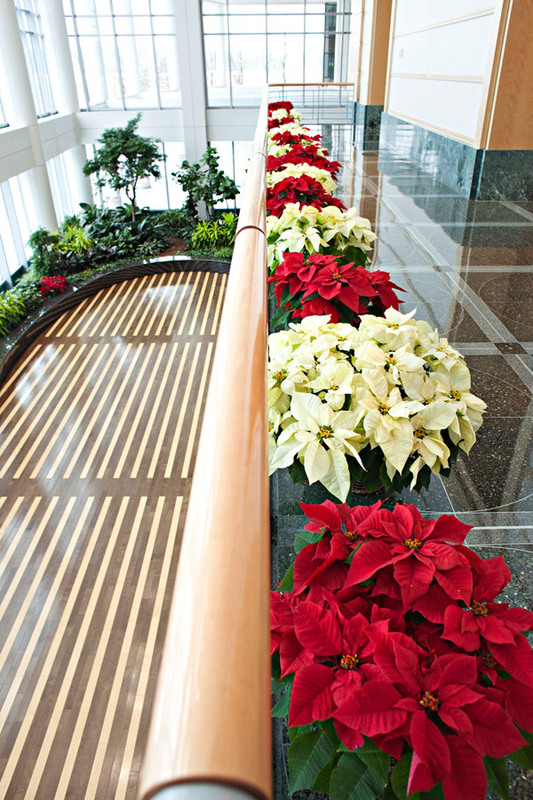 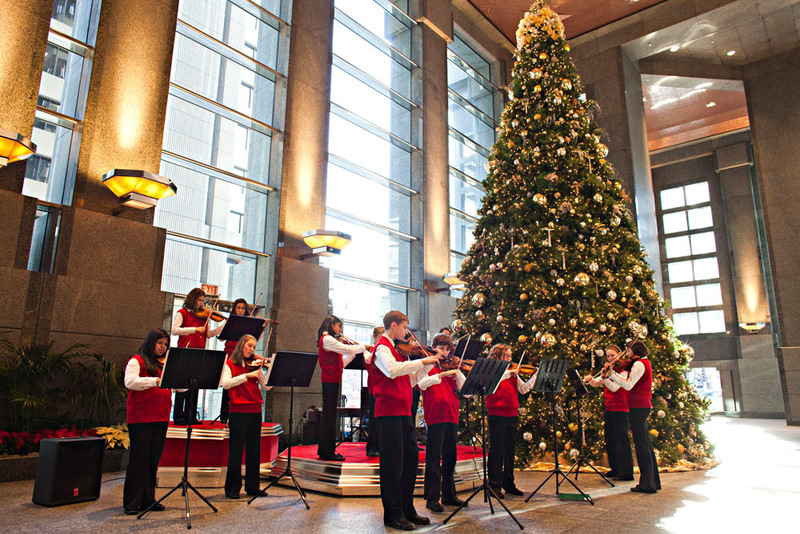 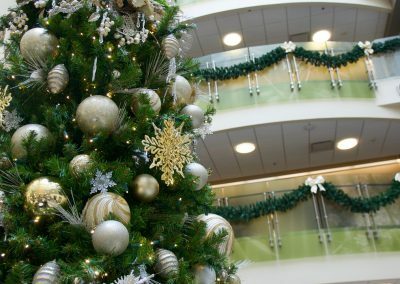 Let us take the hassle out of making your workplace look festive, so you can focus on enjoying the season. 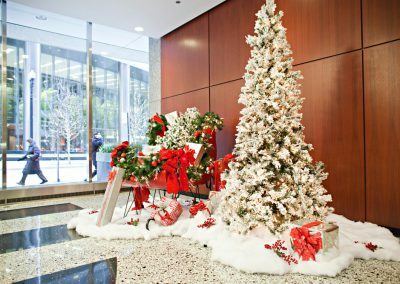 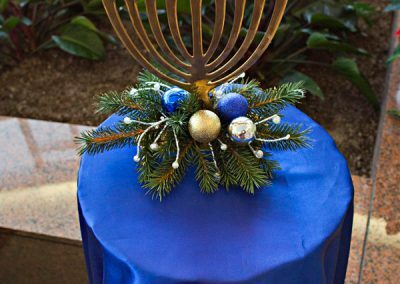 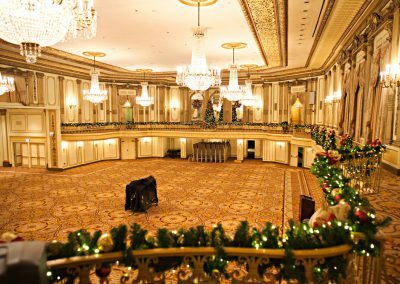 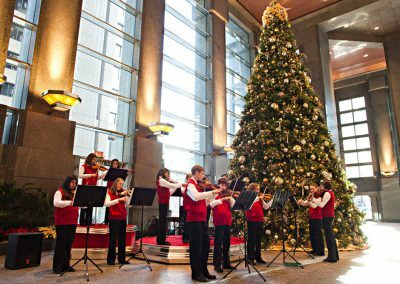 We manage every aspect of your holiday display experience from designing and installing your decorations to taking them down and even storing it all for you at a low monthly rate if you choose. 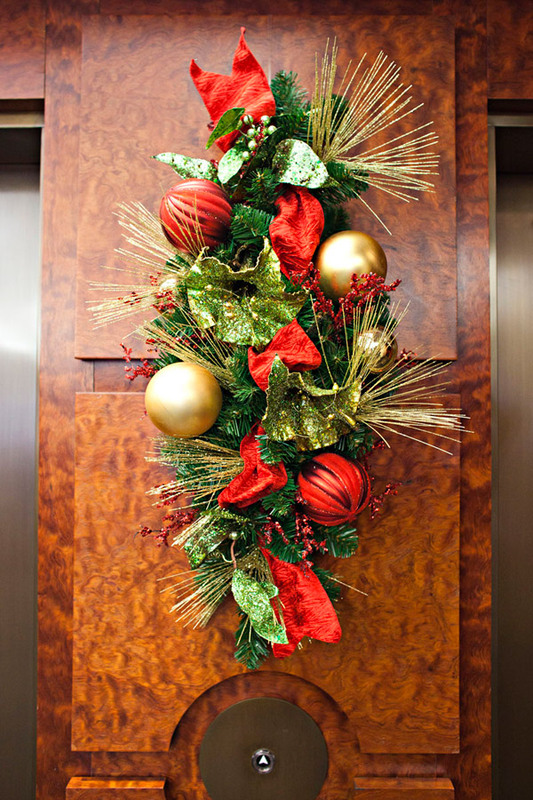 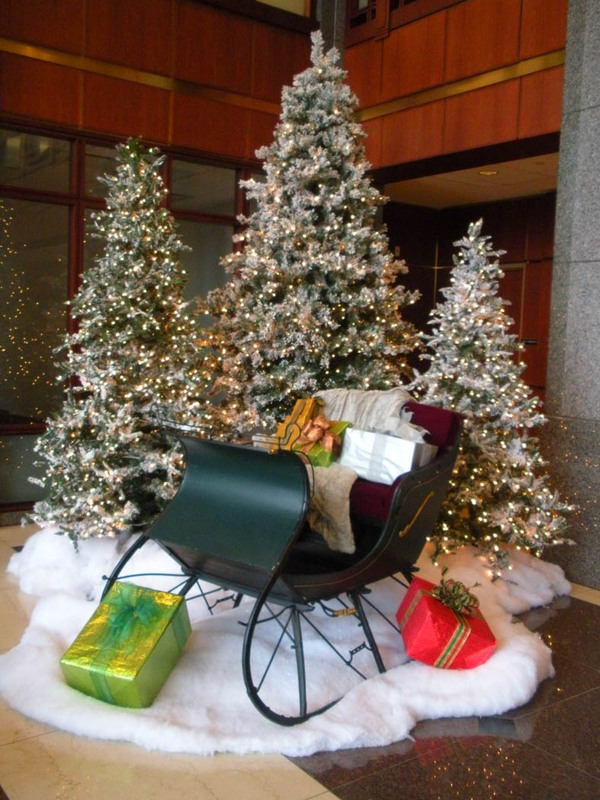 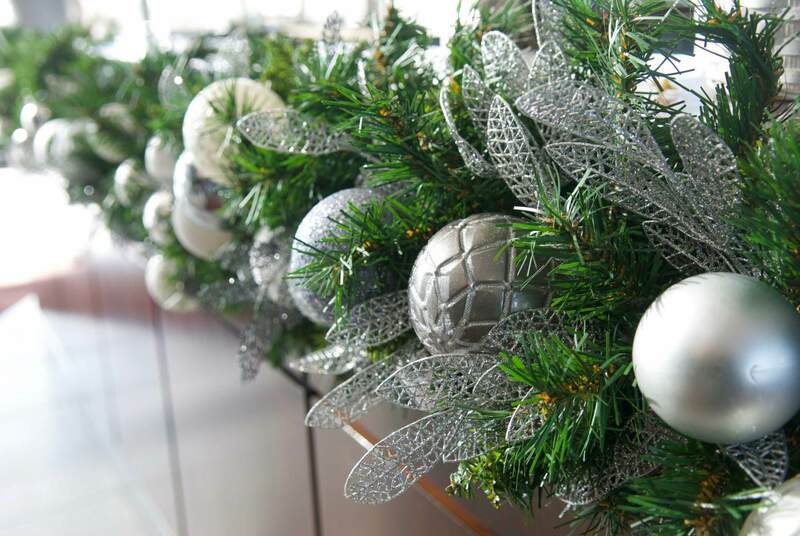 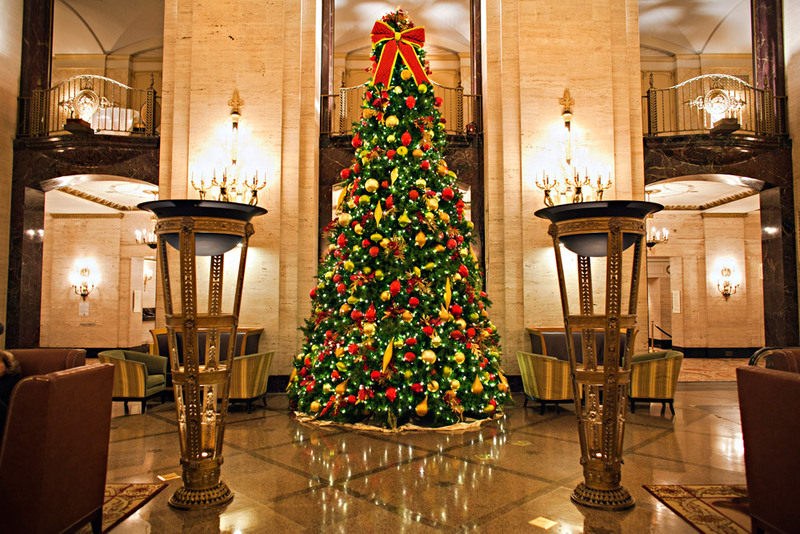 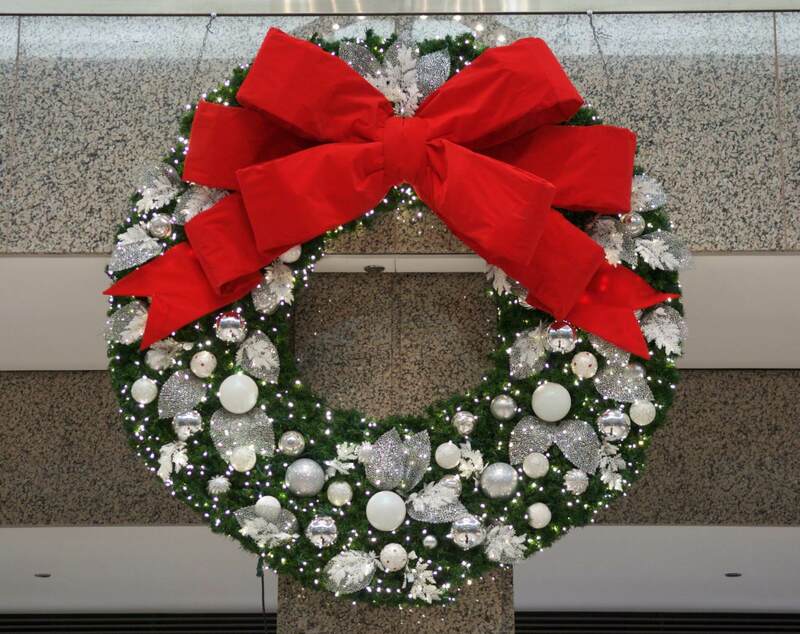 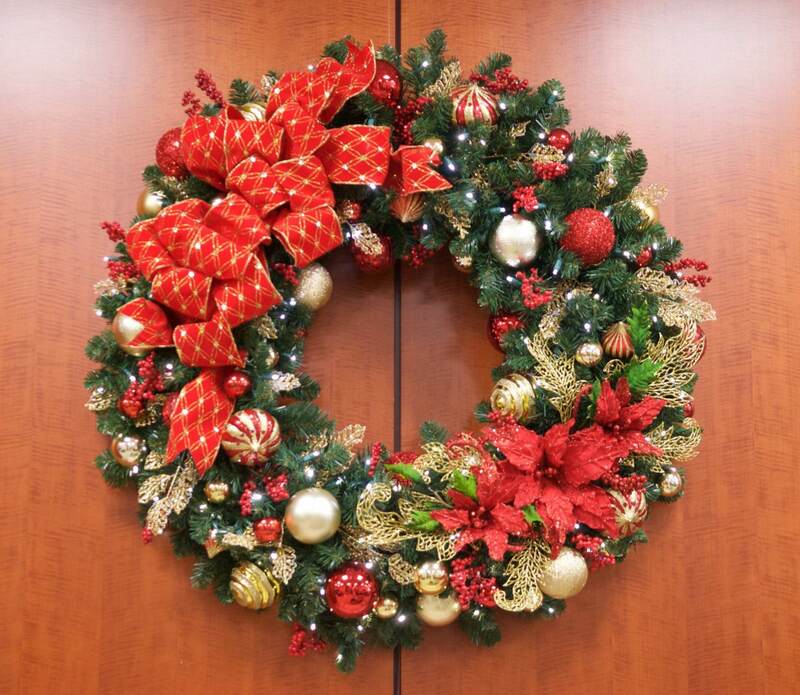 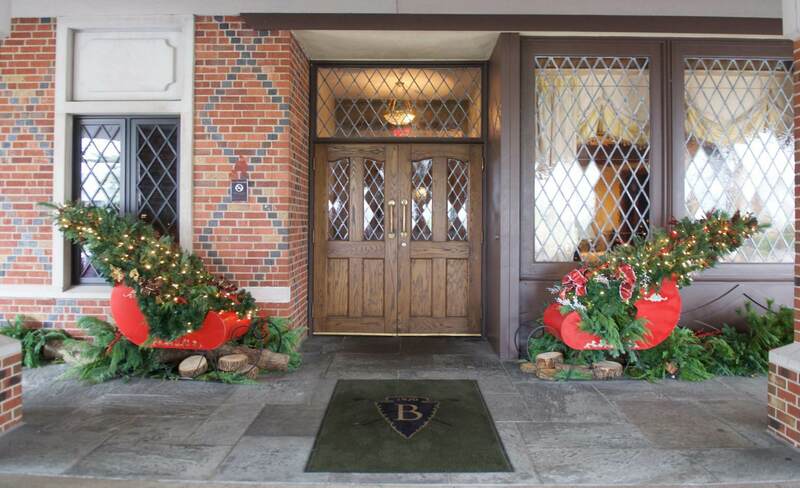 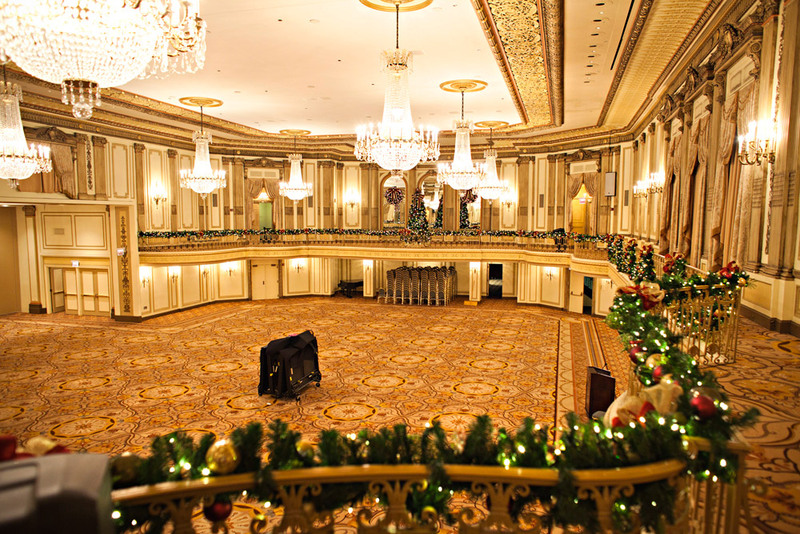 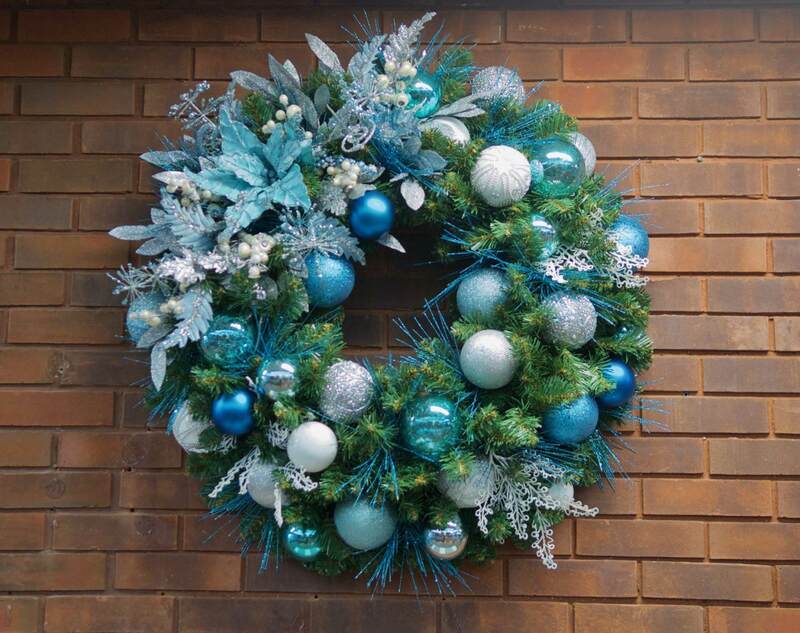 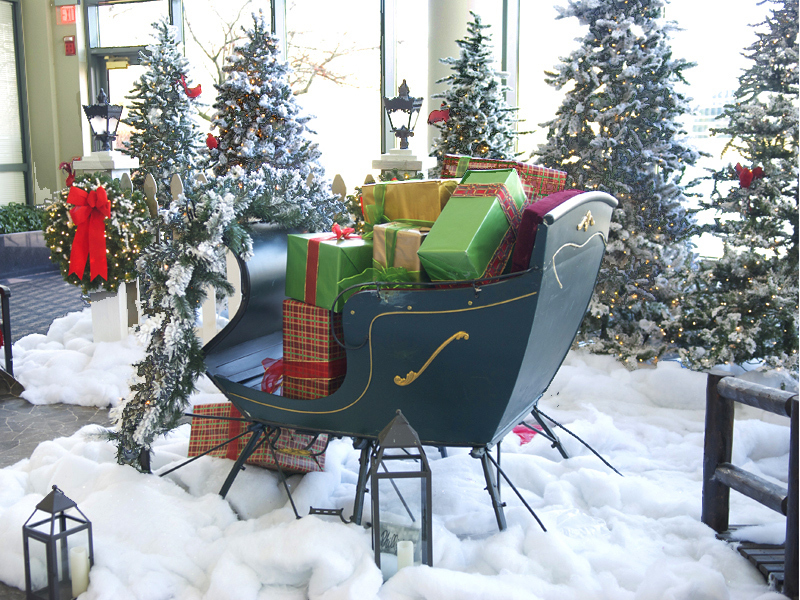 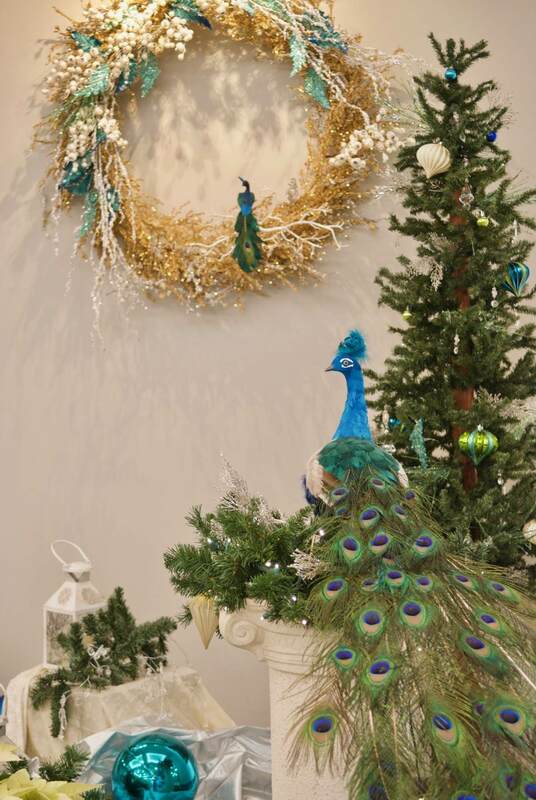 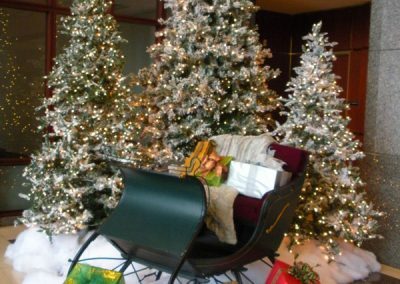 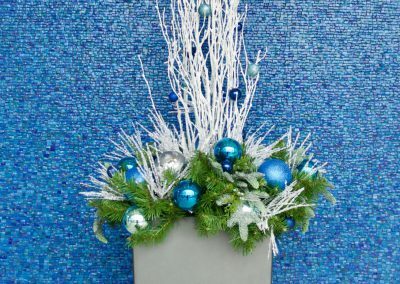 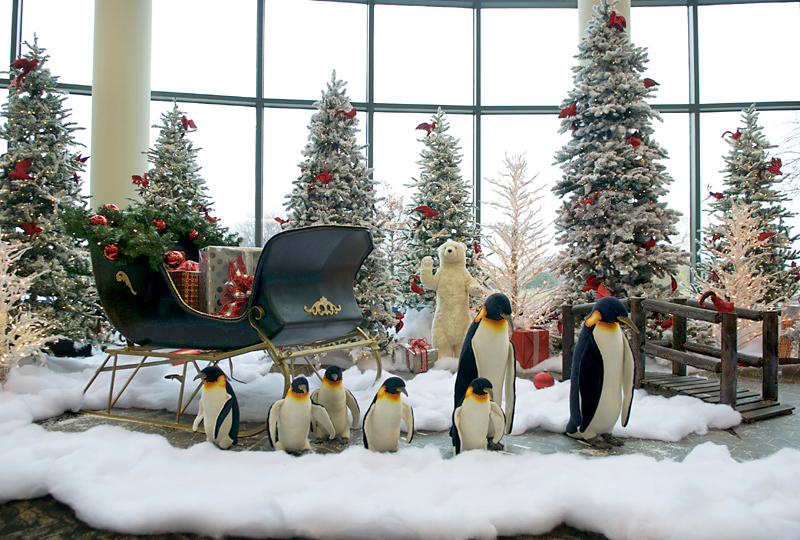 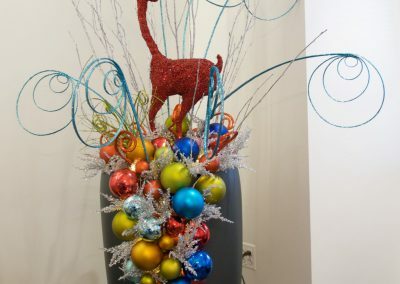 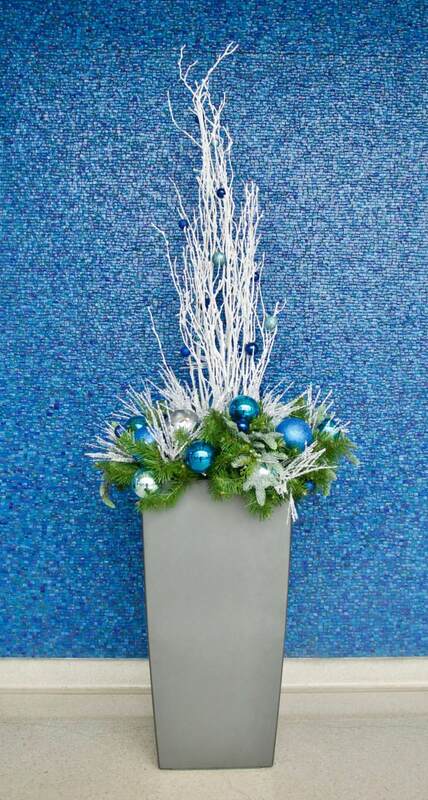 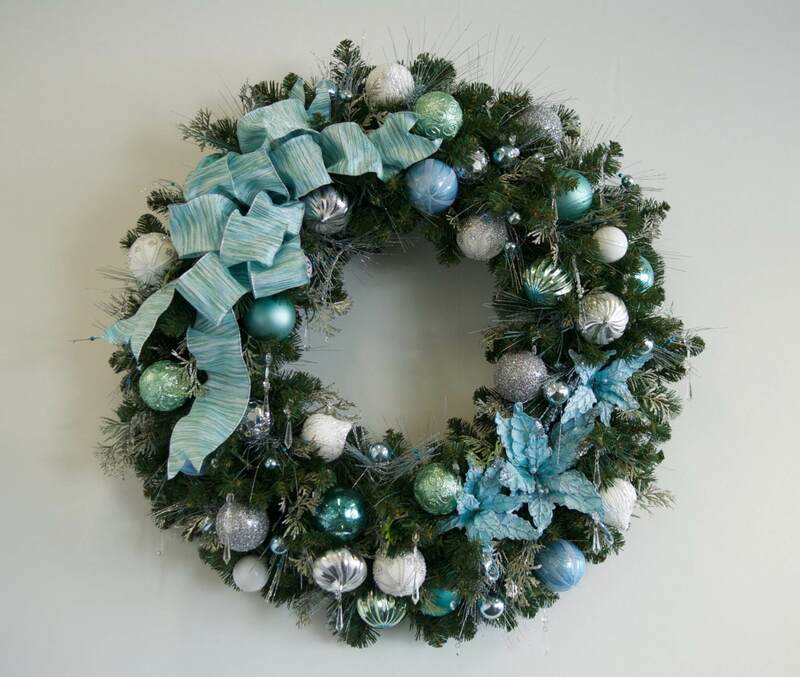 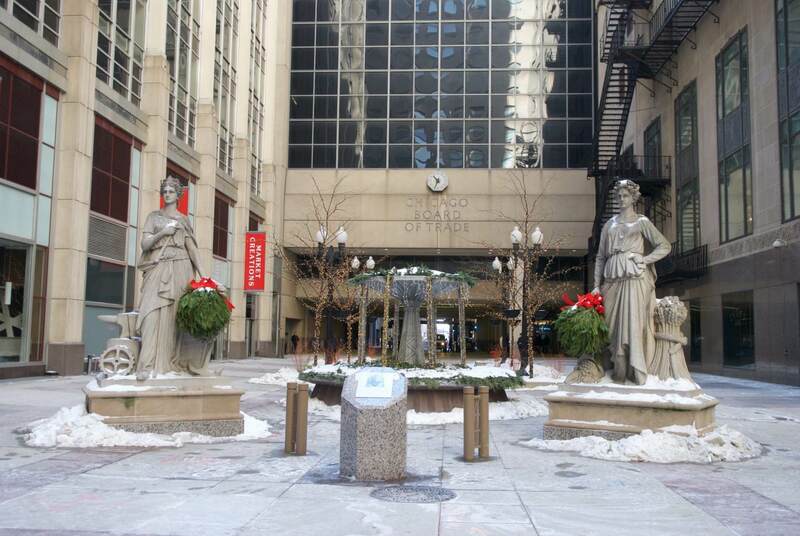 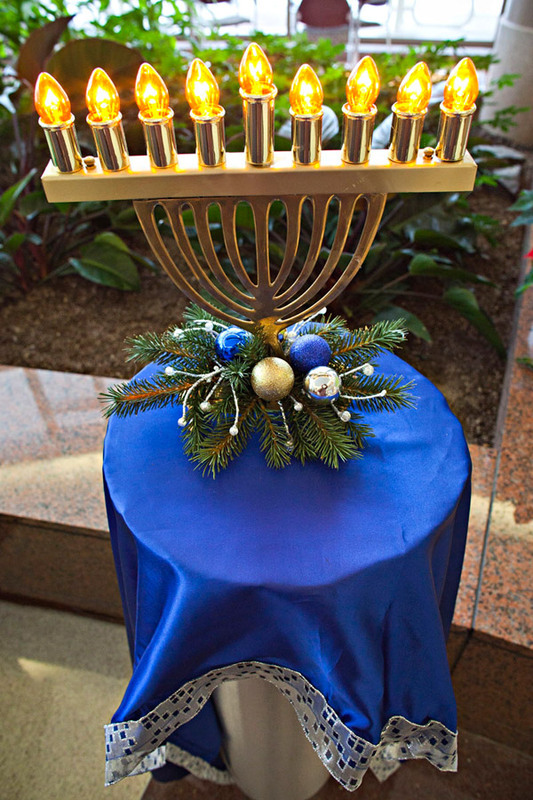 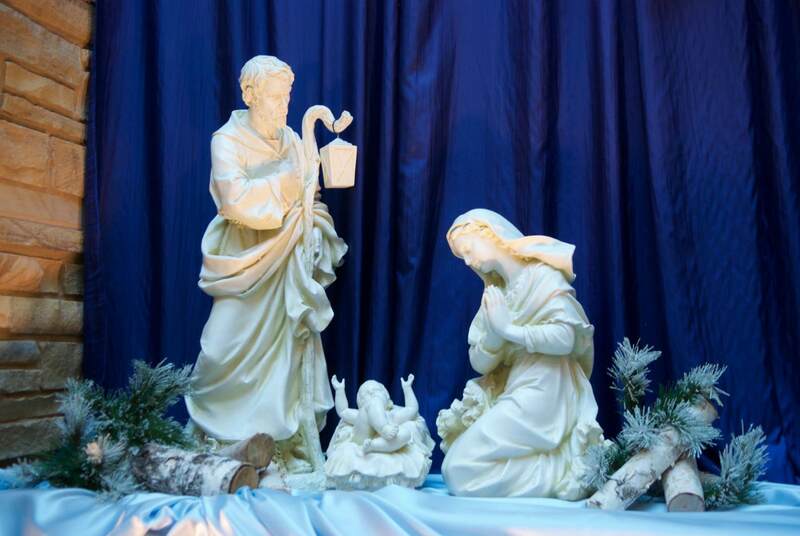 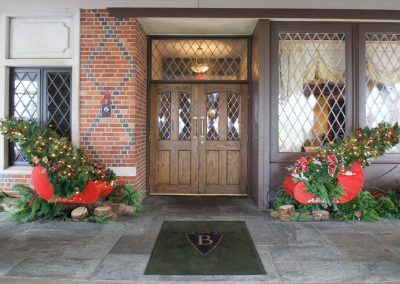 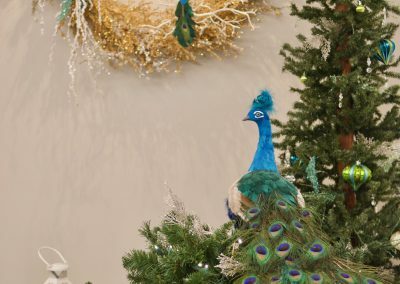 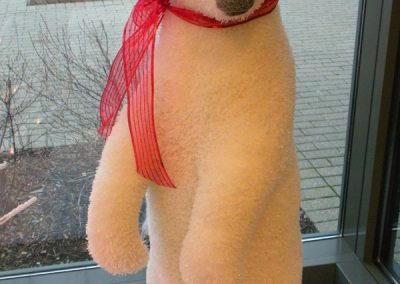 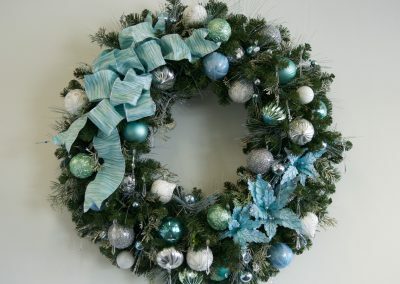 To speak with a Holiday Decor Specialist and request a quote click here or call 630-954-3600. 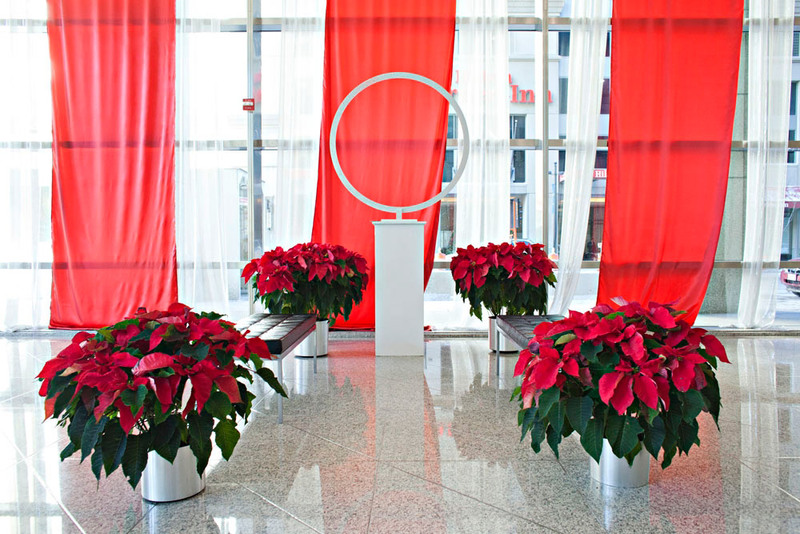 Displays can be purchased or rented, for both interiors and exteriors. 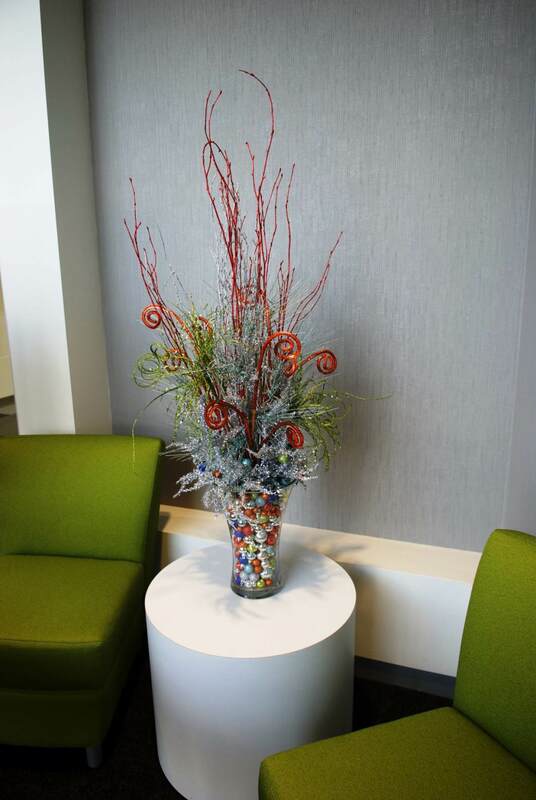 All of our work is custom designed to fit your space, meet your objectives, and accommodate your budget.